Quick: what does the number 420 make you think of? If you were a high school kid at one time or another or have ever interacted with other human beings ever, your answer probably has something to do with marijuana. 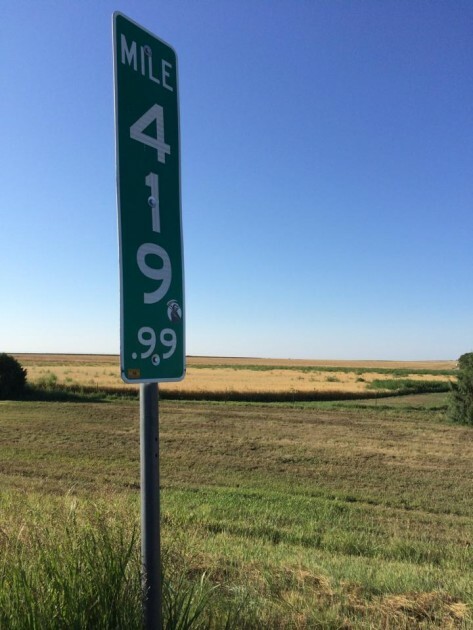 Here’s a second question: upon seeing a mile marker with the number “420” on it, would your first inclination be to steal it? If your answer is yes, then you are an idiot and also the reason that state officials in Colorado, Washington, and Idaho are taking silly measures. In order to combat a near-constant wave of vandalism and theft, lawmakers in the aforementioned states are now opting to post mileposts reading 419.9. This is why we cannot have nice things. Replacing the signs is no new phenomenon, it seems. According to Washington State DoT spokeswoman Barbara LaBoe, signs lining Highway 20 and US Highway 12 were stolen with enough frequency that it opted to make the switch to 419.9 for Highway 20 and just not replace the Highway 12 sign altogether.